Disclaimer: Askmelah is a free thinker. This post is not intended to target at any one religion. Do email me any other such incidents which have been reported by the mass media which I may have missed so that this post will be more inclusive. Posters and online comments denigrating other religions have sparked an outcry at the National University of Singapore (NUS), leading to their removal and a reminder by the university’s provost yesterday to respect the religion and beliefs of others. 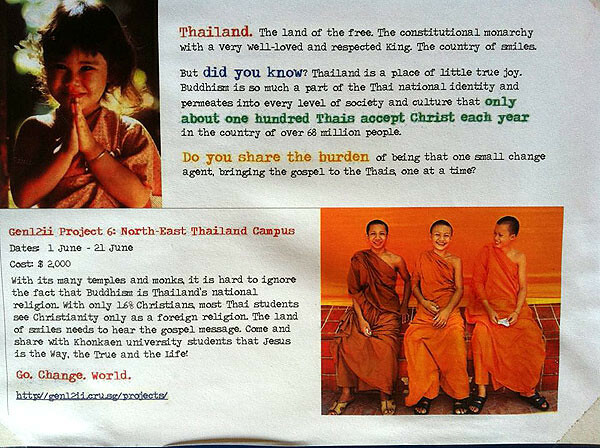 The posters and comments were made by the NUS Campus Crusade for Christ (CCC), which has since apologised and promised to be “watchful of future actions”. 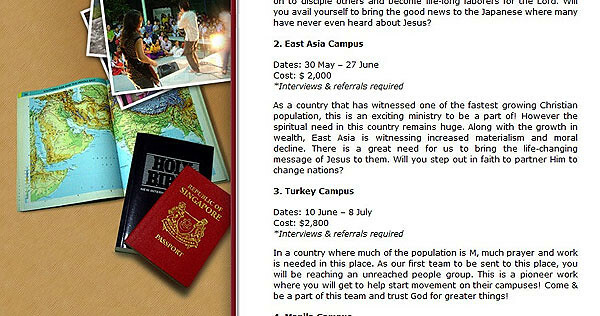 The Singapore CCC is a Christian non-profit organisation active in tertiary campuses. 2010: Pastor Rony Tan made headlines when videos of him belittling Buddhist precepts such as rebirth, karma and nirvana were circulated on the Internet, creating an outroar. This led to the authorities warning him, after which he apologised. 2010 (2008): Pastor Mark Ng has apparently made insensitive comments on traditional Chinese beliefs. In the 10-minute audio clip (which has since been removed at the request of the church) was posted on YouTube. In it, the church pastor, Mr Mark Ng, can be heard joking with the congregation about Chinese rituals; in one instance, he compared praying to Taoist deities to ‘seeking protection from secret society gangsters’.